Traffic congestion is not just an inconvenience. It is on the rise. Traffic congestion can cause health-damaging air pollution, high stress and also impact the economy. Therefore, a significant reduction of urban road congestion and an improvement in the financial and environmental sustainability of urban transport can bring major benefits for the economy, the attractiveness of cities and citizens' wellbeing. We hope that with this EPOMM e-update we can provide you with some insights on urban road congestion, and with innovative approaches to tackle it. Cities have high levels of accumulation and concentration of economic activities in often complex land use patterns, served by inadequate transport systems and services. The larger the city, the greater its complexity and the potential for disruption, particularly when this complexity is not effectively managed. Traffic congestion and parking difficulties. Congestion and parking are interrelated since searching for on street parking space creates additional delay and impedes local traffic circulation. Urban sprawl. There is an increasing dispersion of new housing developments where commuters trade longer travel destinations and times against housing affordability. Accidents and safety. Pedestrians and cyclists are affected by perceived risk and feel less safe, and this impacts on mode choices. Environmental impacts and energy consumption. Pollution, including noise, generated by traffic circulation has become a serious impediment to the quality of life and the health of urban residents. Public transport inadequacy. Crowded peak hours create discomfort for users, whilst low ridership makes many services financially unsustainable, particularly in suburban areas. Loss of public space. Increased traffic has adverse impacts on public activities which once filled the streets such as markets, agoras, parades, games and community interaction. These have gradually disappeared to give way to automobiles. 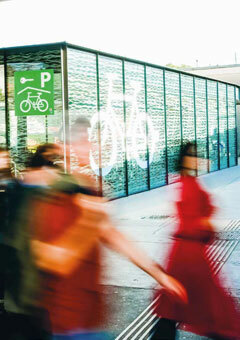 The practice of transport planning is experiencing a paradigm shift towards more comprehensive and multi-modal planning. The new paradigm recognises the important roles that walking, cycling and public transport play in an efficient and equitable transport system. It increasingly addresses the broader dimension of accessibility, paying attention to the benefits that improving the financial and environmental sustainability of urban transport brings for the economy, the attractiveness of the cities and citizens’ wellbeing. Many cities and towns are struggling to balance traffic jams, air and noise pollution, accessibility, and other pressures on city life. Today's pollution levels in many cities are detrimental to health. The Urban Access Regulations (UVARs) seek to remedy this by weighing the needs of vehicles for access to an area with management of the various types of vehicles and the journeys made there. 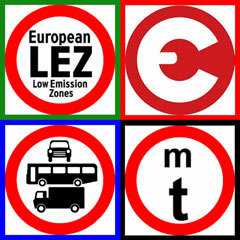 The access rules may include Low Emission Zones (LEZs), toll charges, tolls, access regulations, vehicle access restrictions, various types of truck bans, or even regulations or restrictions on vehicles entering urban areas. These local access rules and restrictions can help create a healthier and more liveable environment for residents. UVARs are also an important tool to achieve the EU's climate protection goals of reducing conventionally powered vehicles and CO2-free urban logistics in major cities by 2030. The EU-funded CLARS platform provides free support to cities and ministries that regulate, plan or review access rules. The CLARS Public Authorities Platform provides best practice examples and lessons learned from other cities to make the programmes more successful and easier to implement. 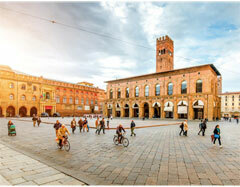 Bologna’s Mobility Authority SRM and BetterPoints Ltd ran a successful six-month EMPOWER-funded programme in 2017. ‘Bella Mossa’ aimed to reduce congestion, improve air quality and encourage healthy activity and wellbeing using a smartphone app and incentives. Citizens earned BetterPoints for tracked public transport, cycling, walking and car-sharing journeys using the BetterPoints app. 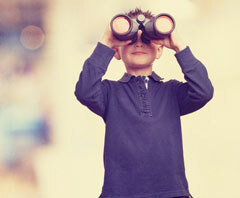 BetterPoints can be converted to vouchers or donated to charity. Non-monetary incentives (medals, team challenges, prize-draws) added interest and competition. Journeys were verified by sophisticated algorithms and OpenStreetMap data. In-app baseline/end of programme surveys allowed comparison of self-reported activity levels, travel habits and demographic data. Over 15,000 active users tracked 816,139 active/sustainable trips, potentially saving 700+ tonnes of CO2; 89 percent of self-identifying ‘everyday’ car users demonstrated behaviour change with 81 percent of their active or sustainable journeys replacing car journeys. ‘Sorry, I’m late. There was a traffic jam on the bike path.’ This might be funny to hear, but it is the situation that arose in Copenhagen. For the first time there are more bikes than cars. 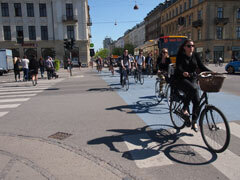 Latest figures show that 41 percent of residents are using the bike to go to work or study in Copenhagen. For other modes it’s 5 percent pedestrians, 30 percent using public transport, and 24 percent using the car. In 2016, sensors recorded 265,700 bicycles a day coming to the city centre every day against 252,600 cars. This has led to overcrowded cycle paths, with several reaching capacity at peak times. Forecasts assume that daily bicycle traffic will increase 25 percent by 2025. This means that measures are needed to tackle the problem of two-wheeled traffic jams. Five new electronic information boards are installed at strategic points along the city's 390 km of cycle paths that will inform cyclists about queuing, road works, distance to destinations and alternative routes with different bike paths. Running from 2015 to 2018, the Horizon 2020 project CIVITAS CREATE aimed to cut road congestion in cities by encouraging a switch from cars to sustainable modes of transport. It was one of the first projects that addresses the task tackling urban road congestion, taking a long-term view of how this can be achieved, especially in cities experiencing rapid growth in car ownership and use. CREATE has brought together a strongly engaged partnership of ten cities, three leading academic institutions, four consultancy and industry partners, plus EUROCITIES, to address the challenging question of how to contain traffic congestion by reducing reliance on the private car. Drawing on historical evidence, it has identified processes and procedures that enable cities to promote sustainable mobility and liveability, and reduce car dependence. All resources and deliverables of the project can be obtained from the website at no charge. The Vienna Urban Mobility Plan 2025 describes the ambitious goals of the city of Vienna for a sustainable transport system and describes the steps that must be taken until 2025 to achieve these goals. The mere expansion of infrastructure has proven to be inadequate in the past. The motto of the urban mobility plan is ‘Together on the Move’ and relies on a variety of approaches that help to seize the opportunities that come with it. According to the Urban Development Plan 2025 (adopted in 2014), and expressed in modal split indicators, the goal is ‘80:20’. This means that the citizens of Vienna should use public transport, ride a bicycle or walk for 80 percent of the journeys they have to make, while the share of car trips should fall to 20 percent. This is essential to maintain the quality of life in the city and to avoid permanent overloading of the road network. If the share of motorised individual transport remains the same as it is now, the absolute number of journeys by car would increase by 12 percent by 2025 in view of population growth. Traffic cameras are an established feature of road infrastructure and for some time the video footage has been broadcast live to surveillance centres operated by transport authorities. Usually, this footage is reserved for the eyes of operators. In Rotterdam, however, a new website was launched, allowing members of the public to see the live footage of 24 cameras in 19 different locations in the city. The new cameras complement the existing traffic information network. The city administration expects that this website helps people to decide whether they want to work at home, choose an alternative route or adjust their journey. For example, they could commute by bicycle or public transport instead. 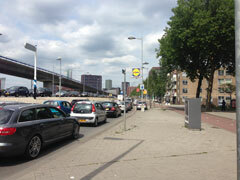 There are plans to place cameras on the ring roads of Rotterdam. The city government has also decided to dispel any privacy concerns, because the cameras are too high to detect people or license plates and none of the footage is recorded. To find out more, visit verkeersnet.nl (in Dutch). In the last two decades parking management has been universally recognised as one of the most important ways to manage car traffic in metropolitan areas. It is essential to mobility management both in the public and private sector, and can encourage the use of alternatives to cars. In its ‘16 Good Reasons for Parking Management’, the Push&Pull project refers to urban road congestion and how parking management can tackle it. Because of the fact that parking management contributes to a better modal choice and therefore quality of life, such strategies are the smart way to deal with limited accessibility and scarce public space. 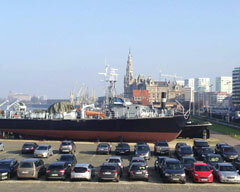 Furthermore, parking management leads to fewer drivers looking for parking spaces. Kodransky and Hermann (ITDP, 2011) estimate that up to 50 percent of traffic congestion is caused by drivers searching for cheap parking spaces. And finally, correct rates, prices and appropriate fines are key to the success of parking management. Or, in other words, higher on-street parking fees – compared to off-street – can lead to reduced traffic congestion. On the other hand, bad parking management can achieve the opposite, such as cluttered urban space, reduced access for sustainable modes, reduced safety and a very car-oriented city structure. The new Horizon 2020 project CIVITAS Park4SUMP aims to change this and increase and speed up the take-up of high quality parking management and its integration into Sustainable Urban Mobility Plans. In one of the forthcoming EPOMM e-updates, we will throw a spotlight on Park4SUMP. Stay tuned! Measures to reduce congestion can be considered either temporary or virtuous. Temporary measures help to free up road capacity that will soon be filled by induced demand. In other words, people will adapt their lifestyle to the prevailing road conditions. Virtuous measures, on the other hand, trigger a feedback loop that is causing more and more people to shift away from using a car to a more sustainable means of transport. These are the changes that transport policy must support. It’s often suggested that congestion may be solved with one big idea, such as widening roads, narrowing roads, adding bus lanes, removing bus lanes, building tunnels, building a new ring road, building a light rail network, switching off traffic lights, banning cars from city centres, closing through-routes to private vehicles, closing car parks, building more car parks, building more park-and-rides, making buses free, etc. None of these can deliver a complete solution, and most of them provide only a temporary relief until the induced demand replenishes the street space. Road tolls are most likely to be a one-hit solution, but still need to be combined with significant improvements in public and active transport options. Modern, sophisticated initiatives better than typical ‘big ideas’ begin with interventions requiring only a low level of capital investment, before moving on to those which require an increasing degree of public and/or private sector investment. It’s all about ‘modal shift’. And in order to achieve modal shift in cities and communities, we need to invest in improving sustainable modes of transport while reducing the capacity, access and comfort of urban road networks for motor vehicles. This requires a revolution in traffic planning: the car can no longer be king of the city. We need to design city streets and roads as attractive and convenient places for walking, cycling and public transport.